Each $137 box contains 36 packs. 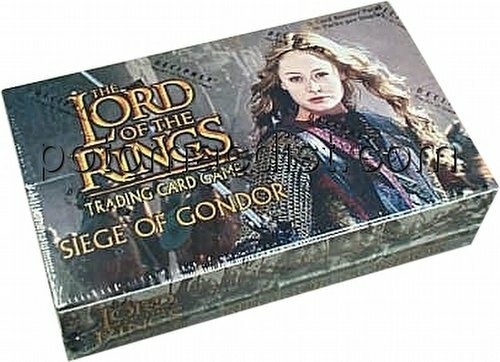 Each pack contains 11 cards. Set consists of 40 rare, 40 uncommon, 40 common cards, and 2 starter only premium cards (Merry & Pippin). A foil from the complete parallel diffraction foil set replaces a common card in approximately one in six booster packs.